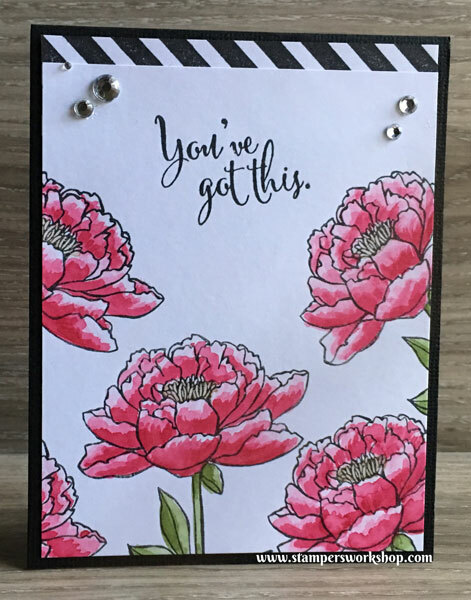 The “You’ve Got This” stamp set is one of my favourites in the 2016/2017 Annual catalogue. Surprisingly, the stamp which first attracted my attention in this set wasn’t the gorgeous floral image but the background stamp. 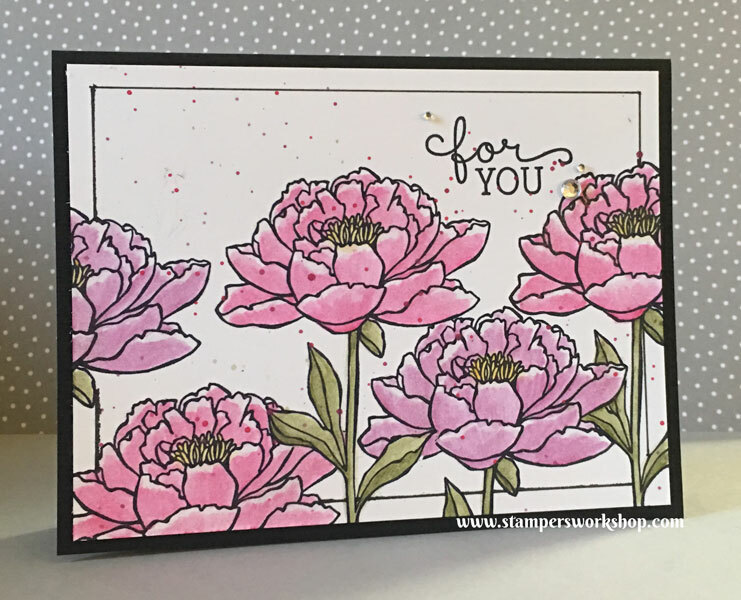 I really love my card bases to have a little texture and I thought this stamp would be perfect to add this look. 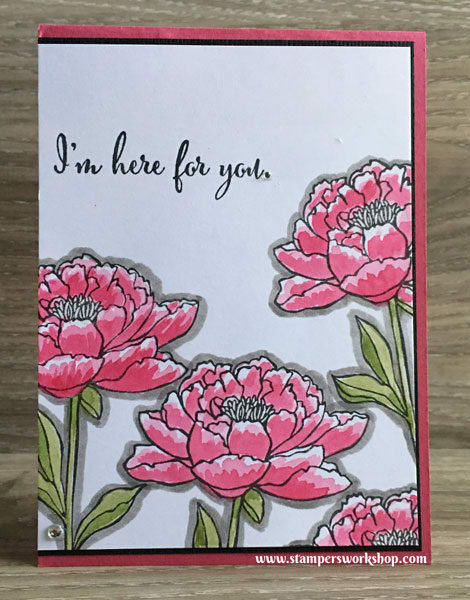 I still think it will be, however, I have yet to use it in this way because when I sat down to stamp I couldn’t help but start with the flower image. I have made quite a few cards using this image. I just love it! I’m going to share five (similar but different) cards today which I think would make a sweet gift if you combine them with some lovely envelopes. To complete the look tie some twine around the cards or package them in a nice box. 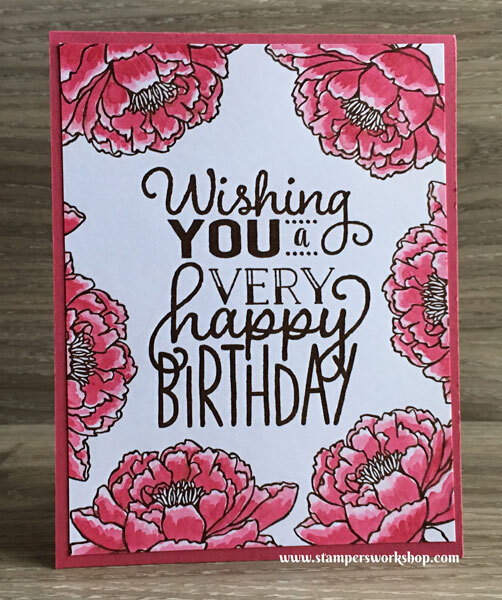 I’ve also used sentiments from the Birthday Blooms set (which just happens to have another floral image which I love!). So how did I end up with so many cards? Quite simply, I was playing around with different colouring mediums. 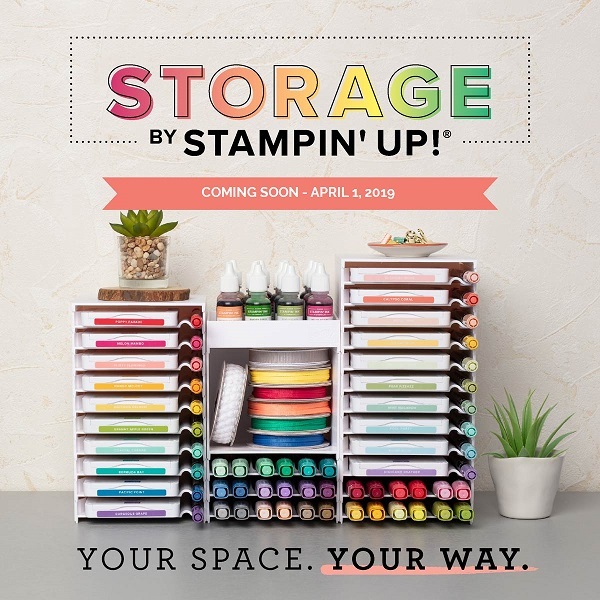 I started with Copic Markers before moving onto the Stampin’ Write Markers and ended with the new (and wonderful!) Watercolour Pencils. If you like to colour then I am sure you will love this stamp set and then cards which follow. 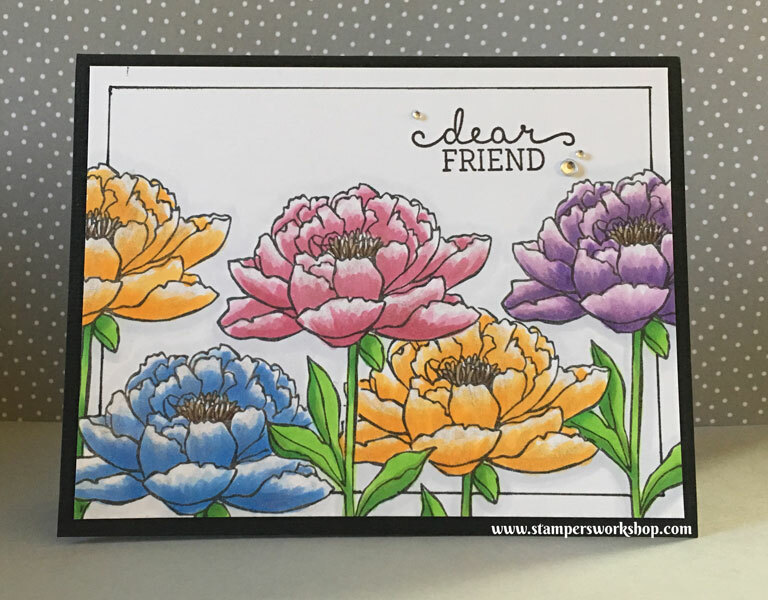 Materials used: Stamps – You’ve Got This, Birthday Blooms; Copic Markers; Wink of Stella and Rhinestones. For the second card, I decided to use the Stampin’ Write markers with a paint brush to colour the image. I picked out Blushing Bride, Rose Red and Melon Mambo for the petals, Daffodil Delight for the stamen and Wild Wasabi for the leaves and stem. Unfortunately, somewhere along the way, I mixed up my shades of pinks a little so it appears as though I’ve only used two colours. Despite this, I think it is a pretty card. I then watered down some of the pink inks and splattered it onto the card. Just another way to add a little interest to the background. 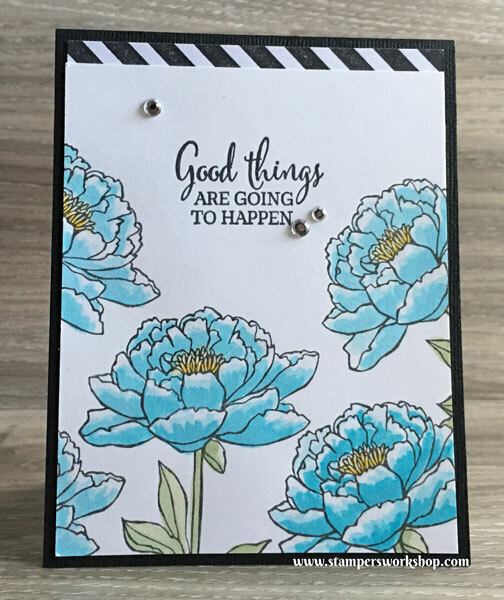 Materials used: Stamps – You’ve Got This, Birthday Blooms; Stampin’ Write Markers; Wink of Stella and Rhinestones. 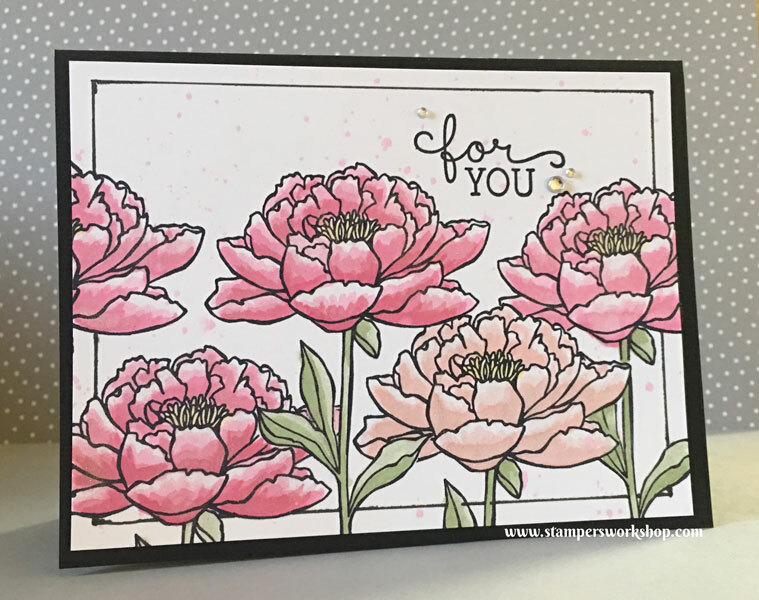 Of course, now I needed to try the new Watercolour Pencils from Stampin’ Up! They were introduced in the Occasions catalogue and they are amazing! They are very heavily pigmented and they blend out beautifully. I think you’ll love creating with them. I used Wink of Stella over the images and this will move the pencils so be careful when applying it. And for something fun, you CAN use the Wink of Stella instead of water to paint the images. 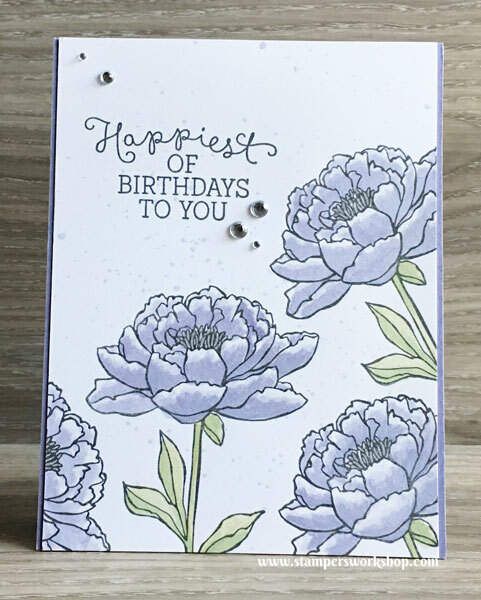 Materials used: Stamps – You’ve Got This, Birthday Blooms; Watercolour Pencils; Wink of Stella and Rhinestones. The next card was also painted with the Watercolour Pencils and I love how bright and vibrant it is. 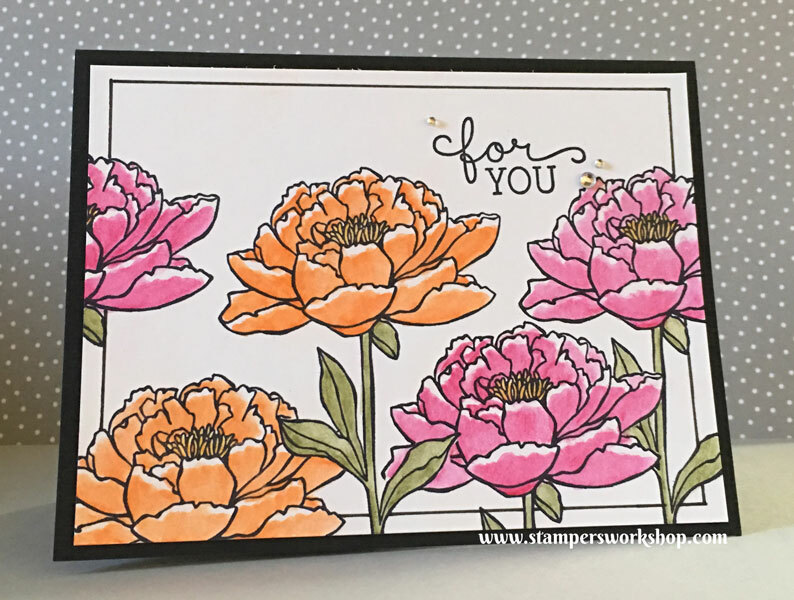 I used Pumpkin Pie and Melon Mambo for the flower petals – aren’t they gorgeous? I decided to try a simple look for this one – no splattering and no Wink of Stella. I think it is so lovely. 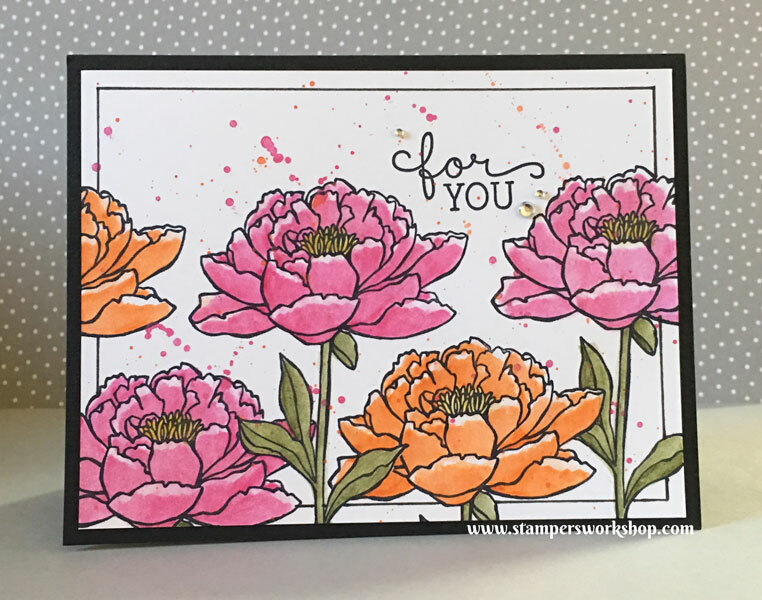 Materials used: Stamps – You’ve Got This, Birthday Blooms; Watercolour Pencils; and Rhinestones. And my last card for today is a “stepped up” version of the previous card. This time I have added Wink of Stella and I have also splattered some of the Pumpkin Pie and Melon Mambo over the background. I hadn’t diluted the water as much as I thought I had so it is quite vibrant but I think it really works. Do you agree? And there you have it, five quick and simple cards. Just a tip – I used Whisper White cardstock for the panels. This is NOT a watercolour paper. You can, however, paint on it very successfully if you ensure you don’t overwork the area or apply too much water. 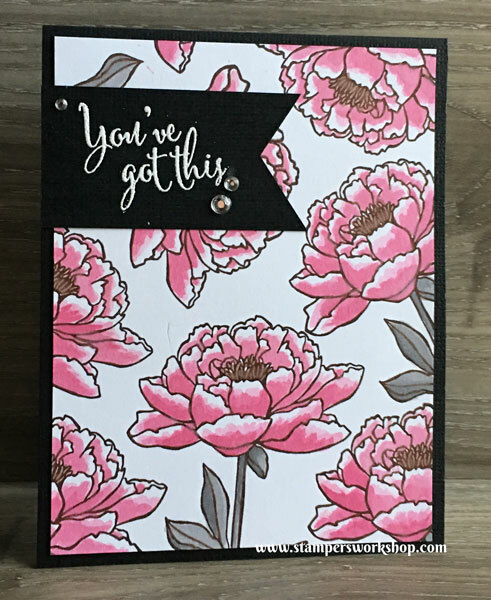 I hope you enjoyed seeing another “Similar, but Different” group of cards using the You’ve Got This stamp set.